I have been on the hunt for a night cream for such a long time, I have tried out so many that didn't do anything for me or left a weird sticky feeling to my face even the next morning. I like to try and keep my skin care products to a minimum as I don't think that I need everything, just a few certain good products that do a great job and gain a permanent spot in my routine. I was so intrigued when I saw this in Superdrug and really wanted to try it out. The name 'moisture bomb' also sounded exactly what my skin needed in this cold weather, even though it hasn't been terribly cold here in the UK. When I first opened the box and pulled out the pot inside I thought mine was empty, it felt so light like there was nothing inside the pot. However, once I opened it there was quite a bit of product inside. 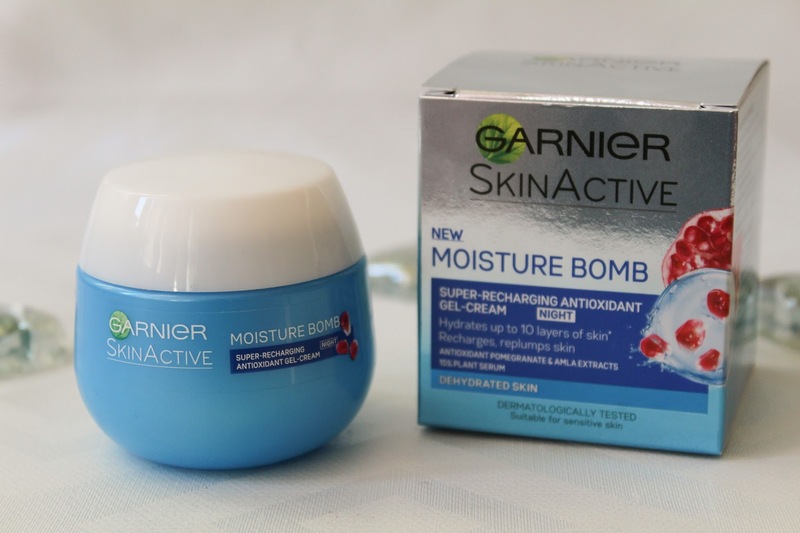 Garnier claim that this night cream 'hydrates up to 10 layers of skin' and that it 'recharges and replenishes skin' which I definitely have to agree with. I have been using this for a few weeks now and I have honestly noticed a big change in my skin, in a good way of course. This cream is more of a gel like formula than a thick cream, which is does say on the box haha. The description tells you that it is 15% serum and also gel-based so that would make some sense. It also has a strong clean, fresh scent to it that I thoroughly enjoy, but others that have reviewed this said they didn't like the smell. When you first touch it, it is very much like a standard gel cream, however when I smoothed it all over my face it melted right into my skin. It is a strange texture but it works and a little of this cream does go such a long way. I normally put this on about 10 minutes or so before I go to bed and let it sink in while I brush my teeth etc. I was quite surprised after 10 minutes that when I touched my face, it was so smooth and hydrated. The cream is so soft and smooth and it kept my skin hydrated all night long. When I woke up in the morning, my face felt so refreshed, moisturised and hydrated than the day before. There was also no horrible residue or film left on my skin. The formula of this cream contains amla extracts and antioxidant pomegranate, and it is also specially targeted at dehydrated skin in need of a serious moisture boost. 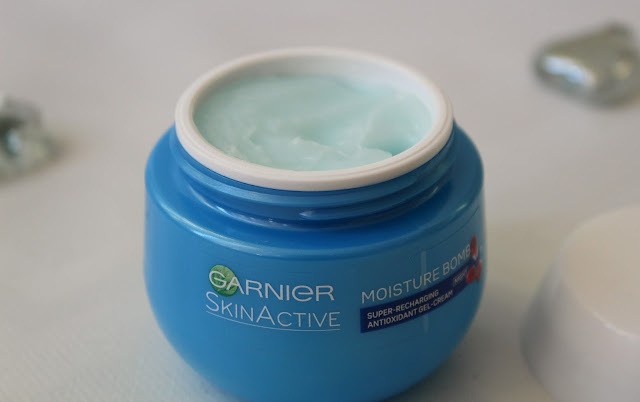 This product will be really great for someone who has really dry skin and needs a big boost in moisture, especially in this cold wintery weather. It is also good for oily skin, as it gives you a nice fresh feeling without drowning your skin in product. I was slightly worried that it might have made me oily as it is designed for people with dry or dehydrated skin but it works really well to rebalance my dry skin and does not make me oily at all. The packaging is nothing spectacular but it does the job. The pot, like I said, is extremely light, it does feel so empty, but you get around 50ml for £7.99, which is not as expensive as others like Clinique or Charlotte Tilbury. There is also a day cream that goes with this night cream, which I think I am going to have to pick up soon as I love this one so much. I will definitely be re-purchasing this when it has ran out and will be recommending it to all my friends and family. This night cream is currently on offer at Boots here, or Superdrug here. Have you tried this new night cream? Or tell me about your current favourite day/night creams.